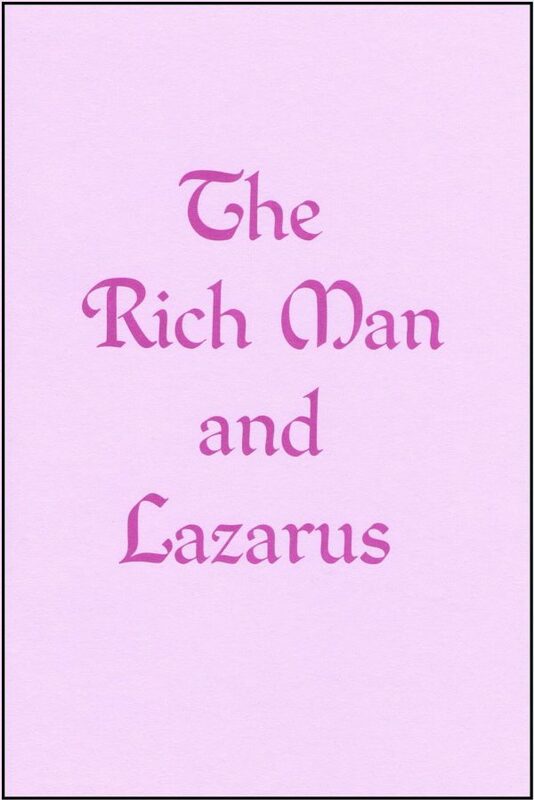 When interpreted as a fictional story, the story of the Rich Man and Lazarus offers no opposition to the teaching of the Old Testament concerning the death state. But when read as literal history it negates the entire volume of Hebrew revelation. When interpreted as a fictional story, the story of the Rich Man and Lazarus offers no opposition to the teaching of the Old Testament concerning the death state. But when read as literal history it negates the entire volume of Hebrew revelation. The alternatives presented are either to allow this passage to dominate and control the explanation of the remainder of Scripture, or else to interpret these verses in such a way as will not conflict with or contradict it. To the student adopting the latter course, a grave difficulty seems to present itself: How can we interpret as a parable that which is not called such? On the other hand it must be admitted that a story (a record or account), in order to make an important point, may well be fictional; it need not be historical. The author notes that the entirety of Luke 15 and 16 is a multipart parable but actually constitutes a singular teaching on a unified theme. The key elements in the Lord’s obviously fictional story of the Rich Man and Lazarus were drawn from Jewish Oral Tradition later recorded in the Talmud, from which citations and references are included.